Turtle necks, power suits and glasses of Prosecco on arrival. I’m in the land of the sartorially savvy this evening for Newcastle’s modest fashion event at Ampersand Inventions. 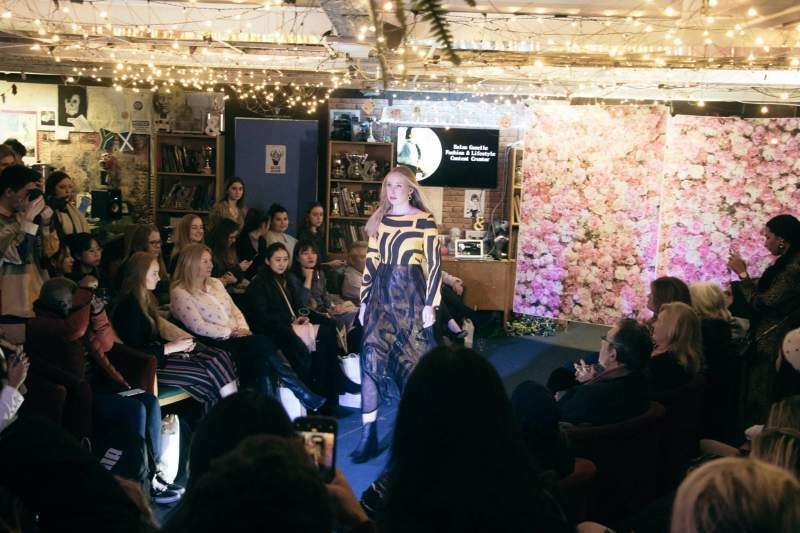 Four local designers have collections on the catwalk, Just Harry’s preloved denim composites, Trendlistr’s choice vintage cuts, the intricate emblem streetwear of Tahmina Arts and Deoyn’s African inspired bespoke screen printed garments. Modest fashion is a niche that’s on the rise in the clothing sphere, with the notion that modest doesn’t have to mean matronly, it’s also my introduction to a thriving Newcastle fashion scene. From my limited vantage point at the back of a sold out room I follow fervent eyes tracking each sauntering model – not to mention an obscene amount of cameras and smartphones clicking away. Ripples of applause surface when a couple of models get a little extra and strike a few poses. One dude strides out at pace in a pair of heels, and there’s an audible gasp from a someone next to me when a model for a Deoyn piece reveals the flowing underarm draping in a swan-like fluttering of limbs. Next we have a talk from Eslam Gazelle and Virgit Canaz, tonight’s guest fashion blogger/Instagram influencers, with some endearingly down-to-earth advice to “buy an outfit, take the picture and return it” for those just starting out. Afterwards the bravest in the audience are invited to take part in a styling workshop for advice on day to day ways of enhancing their style. A few laps around the pop-up jewellery and clothes stalls later, gift bag in hand, I leave the sold out show with four independent style hunters still looking pretty smart to me.